The Minerals forum and event organized by Novus on Wed, Nov 12 in Hannover attracted animal production professionals from 20 countries. The Minerals forum and event organized by Novus on Wed, Nov 12 in Hannover attracted animal production professionals from 20 countries. Prof. Dr. Josef Kamphues, Head of the Institute of Animal Nutrition at the University of Veterinary Medicine in Hannover in Germany, was presenting on why trace minerals are important in animal diets. 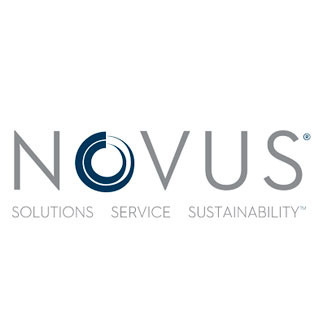 Novus International, Inc. was exhibiting for the fifth time at EuroTier 2014 and was again participating actively to this world's leading trade fair for animal production. Prof. Kamphues concluded with the importance of having the adequate supplementation of trace minerals. "There are differences regarding the effects within animals or products that are related to the source (organic or inorganic) of trace elements. Trace elements have to be dosed carefully, as a lot of scientific literature indicates the toxic capacity of some elements". On top of the effects of trace minerals supplementation across species, Prof. Kamphues also covered the differences between trace elements (organic or inorganic) in terms of digestibility, absorption and bioavailability "Trace elements bound to amino acids can result in elevated trace element absorption and accumulation in body tissues (muscles) and/or products (egg and milk)". This year, Novus is celebrating the 10-year anniversary of its highly-effective chelated trace minerals, MINTREX®. The MINTREX molecule truly embodies Novus's commitment to delivering innovative products that support animal nutrition and performance.This anniversary reflects Novus's leadership position in the organic trace minerals market and highlights the company's dedication to sustainable solutions that improve animal welfare and environment. Dr. Alain Bourdonnais, Marketing and Technical Manager of Minerals at Novus, explains, "MINTREX, chelated with HMTBa (the active ingredient in ALIMET® feed supplement), is a highly bioavailable source of copper, zinc and manganese" Dr. Bourdonnais adds, "Research proves that MINTREX delivers more bioavailable trace minerals to the small intestine than other organic trace minerals. The more bioavailable a mineral is, the lower the dietary concentration needed and as a result, less minerals are excreted into the environment."